Leisure airline and package holiday specialist Jet2.Com and Jet2holidays has announced its summer 2019 programme from Birmingham Airport with the introduction of four new destinations, more Boeing 737-800 aircraft to its fleet, and over 1.6 million seats on sale, representing 30 percent capacity growth. Jet2 will fly to 41 sun and city destinations in summer 2019, including four new destinations – Kefalonia, Pula, Verona and Bergerac. The company will operate weekly services to the island of Kefalonia between May and September; weekly Sunday services between May and September to the Adriatic Coast of Pula, Croatia; weekly Saturday services to Verona between May and October and weekly Saturday services to Bergerac, providing direct access to the famous Dordogne region of south-west France. 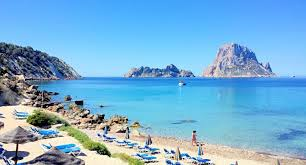 In addition, holidaymakers will be offered more flights and holidays to destinations such as the Balearic Islands, Canary Islands, Mainland Spain, the Algarve, Greece, Cyprus and Turkey. The additional flights and holidays include a total of 22 weekly services to Canary Islands with more services to Tenerife, Gran Canaria, Fuerteventura and Lanzarote; 13 services per week to Alicante; 12 weekly services to Malaga, up from nine in Summer 2018 and 15 flights per week to Faro, as compared to 11 previously. Further, Jet2 is offering an increased number of services to Majorca with up to 19 flights every week during peak season; an addition of a second Sunday service to Ibiza offering up to eight flights every week; two services every week to Madeira as against once previously; five weekly services to Antalya compared to three services previously; five services a week to Crete, plus longer season; three weekly services to Rhodes, with the addition of weekend flights; the addition of a third weekly service to Larnaca with extended seasons; the addition of a fourth weekly service to Paphos, operating a total of seven weekly flights to Cyprus (including Larnaca) and extended to Prague all through the summer, with two weekly services. Steve Heapy, CEO of Jet2.com and Jet2holidays said: ‘We are putting our biggest ever summer programme on sale from Birmingham Airport, with four brand new destinations and over 1.6 million seats going on sale for Summer 19, our third summer at Birmingham. The addition of more Boeing 737-800 aircraft represents another huge investment in our base here, and gives local holidaymakers even more choice and flexibility with our award winning airline and tour operator. Tom Screen, Acting Aviation Director at Birmingham Airport, said: ‘Jet2.com and Jet2 holidays are both very popular family friendly brands that have established themselves well within the Midlands travel market over the last two years. This extra capacity means that Jet2.com will be our third largest carrier in 2019 and we thank the team for its continued commitment in Birmingham.